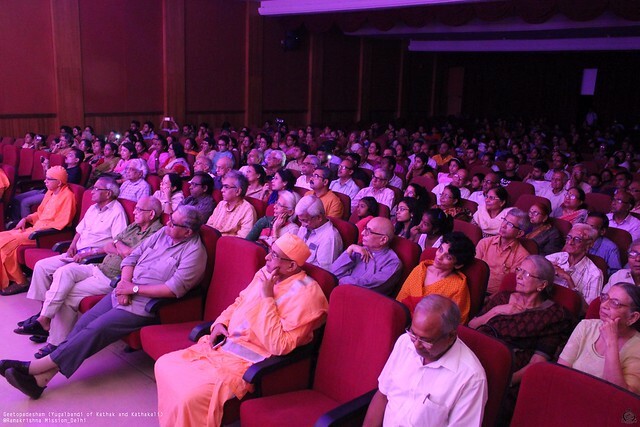 As part of Sister Nivedita’s 150th Birthday celebrations, the Ramakrishna Mission, New Delhi, organized a cultural programme titled “Geetopadesham” – A Yugalbandi of Kathak and Kathakali in dance form in the Vivekananda Auditorium on 13th August 2017. 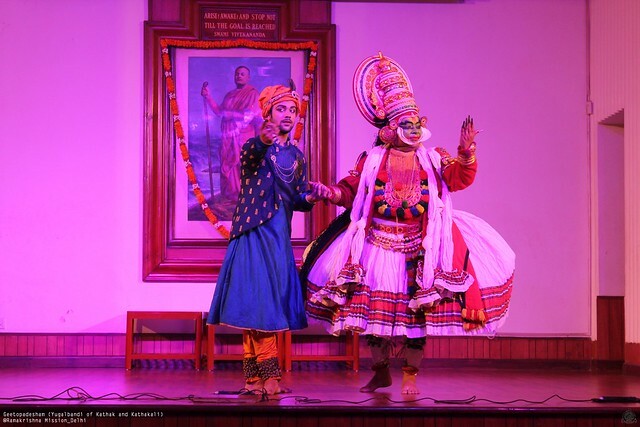 This is a unique ballet with an intermingling of two dance forms Kathak and kathakali of North and South of India respectively and performed by two Kalamandalam artistes Shri Gautam as Arjuna and Shri Sudip Chakraborty as Sri Krishna, with a background recorded songs and narration of slokas from Bhagavad Gita through Arjuna and Sri Krishna who inspired Arjuna to go to the battlefield and fight for righteousness. 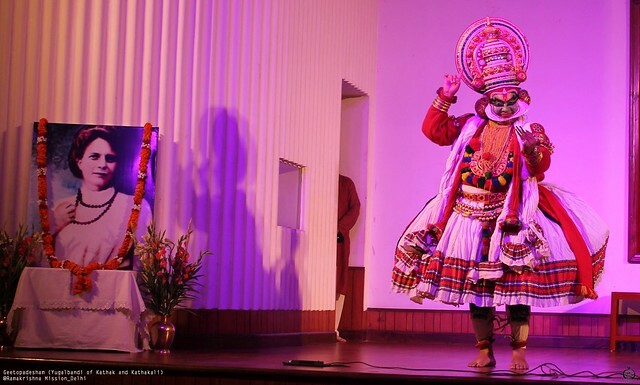 Kalamandalam Gautam, a graduate in Kathakali from Kerala Kalamandalam, hails from Kolkata and has received extensive training in Kathakali from Smt. 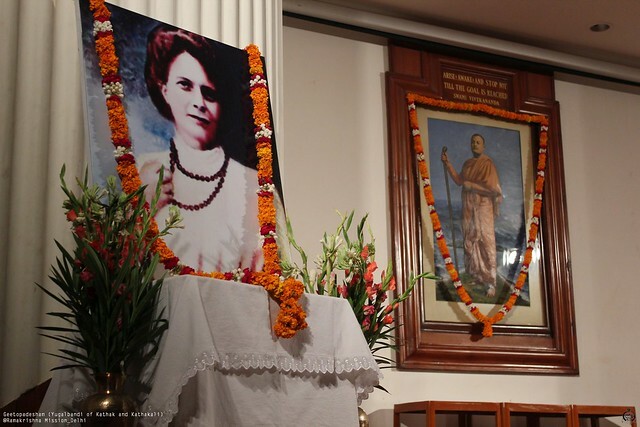 Luna Bose and Guru Govindan Kutty before he moved to Kerala in 1998 for higher studies under Kalamandalam Balasubramaniam and Kalamandalam Ramdas Asan. 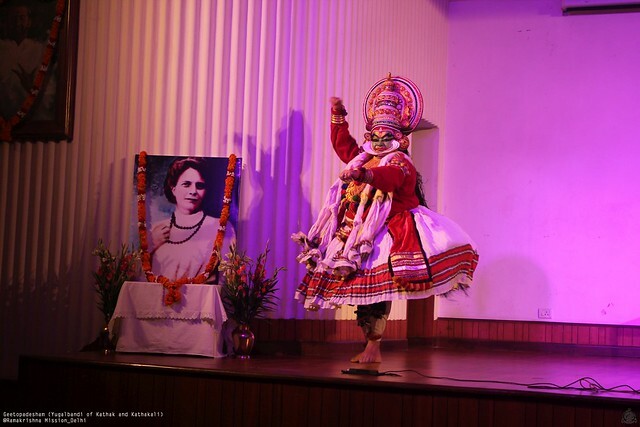 He also learnt from maestros like Kalamandalam Raman Kutty Nair, Lalamandalam Padmanabhan Nair and Kalamandalam Gopi. 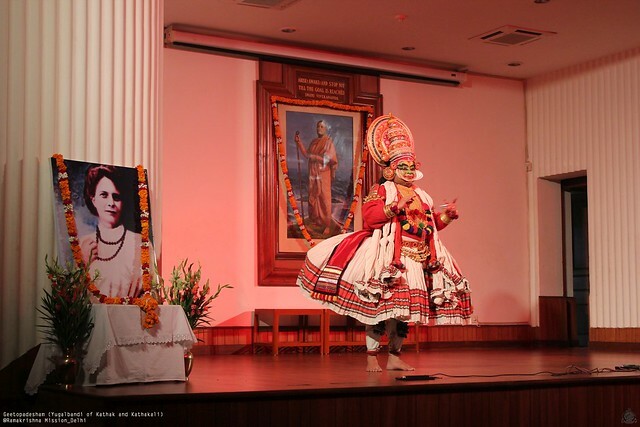 Shri Gautam has performed extensively with the Kerala Kalamandalam Major Kathakali Troupe for many years across Kerala and has toured several parts of India and abroad. 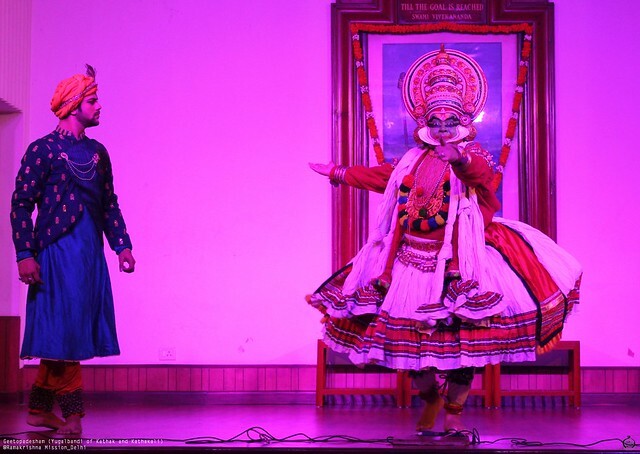 He has taken part in several documentaries produced by the Films Division and is the only Kathakali dance therapist in the world. 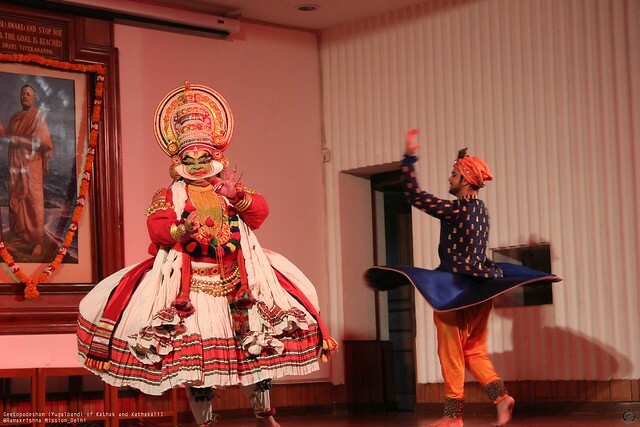 He gives dance therapies to the physically and mentally disabled children in Cochin. 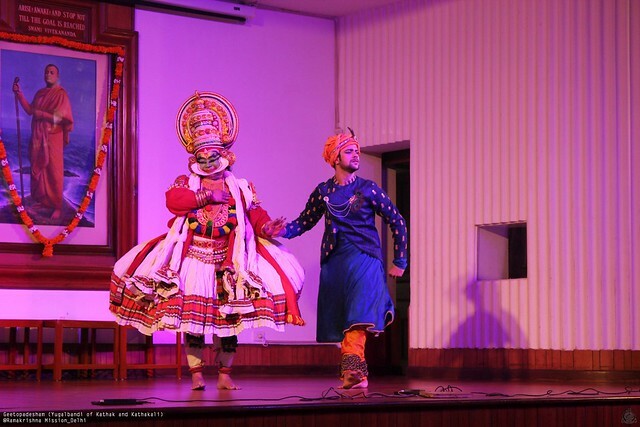 A recipient of several awards including those from the Kerala Government, Shri Gautam is a National Junior Fellowship holder of the Government of India, Ministry of Culture. 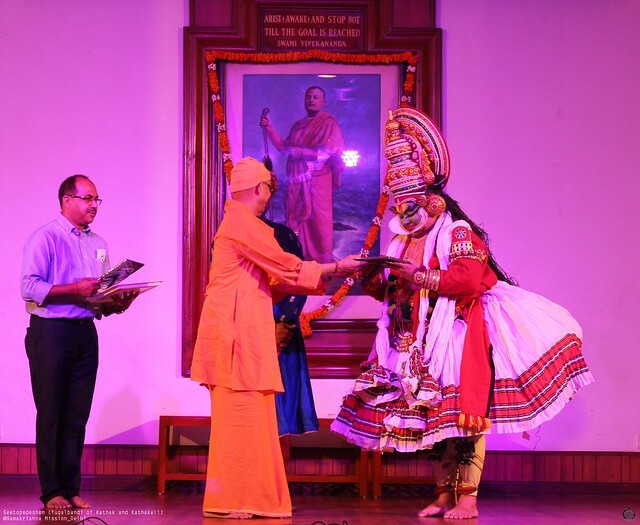 He is the Founder Director of Natyalok, Kolkata. 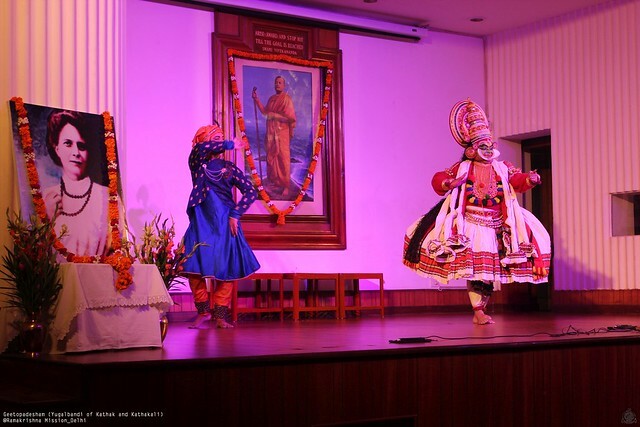 Shri Sudip Chakraborty is a Kathak dancer for over 14 years, having been trained under Pranab Sanyal and Sandip Mallick. 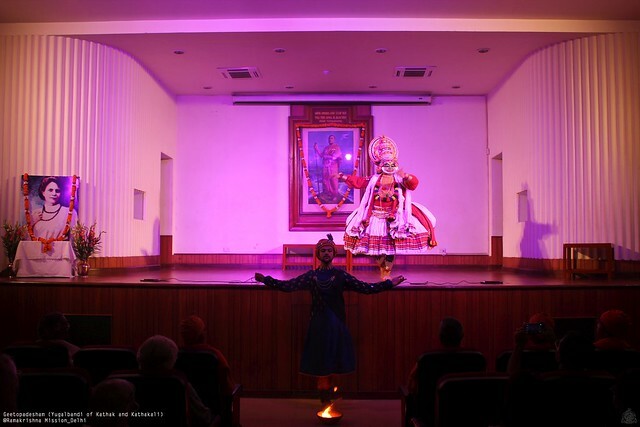 He has attended regular workshops of stalwarts like Pandits Birju Maharaj and Saswati Sen.